Every Monday Lagasse’s Stadium at The Palazzo will offer a dish that was inspired by each team playing Monday Night Football. I’m not sure why but I find this fun and amusing. 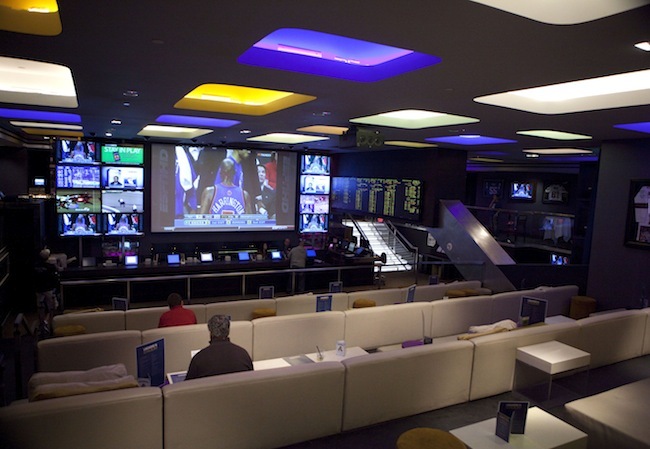 Lagasse’s Stadium is no longer a sportsbook that I’d visit on an NFL Sunday or when there are big events like March Madness but it’s good for a stand alone football game. 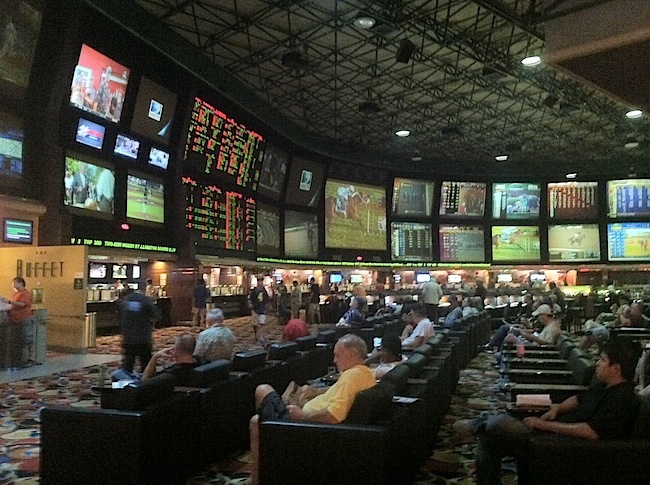 Here are my current favorite sportsbooks in Las Vegas. The food at Lagasse’s Stadium is good and the atmosphere is comfortable with plenty of couch seating available. When it’s not too crazy the service is still good. The menu for each game is below. The chef must think that all Jets fans are Italian. 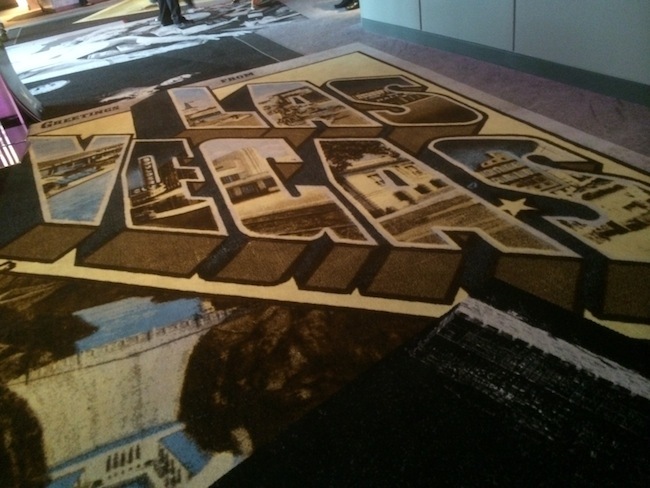 My first impression of SLS Las Vegas is positive but not perfect. Nothing is perfect as far as I’m concerned. I’ve already detailed some of the flaws from the first few days of business in a separate post. The pre-opening moniker SLS Las Vegas used to describe the property was “affordable luxury”. That set up for the hotel to be fancy on a budget. For example there’s no way to make Ikea furniture feel luxurious but it can look nice. With that in mind I went in with limited expectations. I care more about the casino than most of SLS Las Vegas. The floor plan is only 60,000 square feet. If you ever visited Sahara this is 20,000 square feet less. The floor plan is small, which is fine but there are choke points that make it almost impossible to go to certain parts of the casino. The high traffic walkway by table area near the players club and The Griddle is tight and will always be busy. There are similar choke points on the slot floor that will be impossible to walk through because machines are packed so closely. Just scope out areas before sitting down at a table or machine. Layout aside there are ample 3:2 blackjack games for $5 and $10. Craps has $10 minimums. There is decent video poker and all new slot machines. I dig all of this and wouldn’t mind gambling here. US Poker has a breakdown of most of the games. Parts of the casino floor seem dark and that can make the tight casino feel almost claustrophobic on busy nights. This feels like a casino I’d visit during the day more than at night. This is the part of the casino I was most looking forward to. 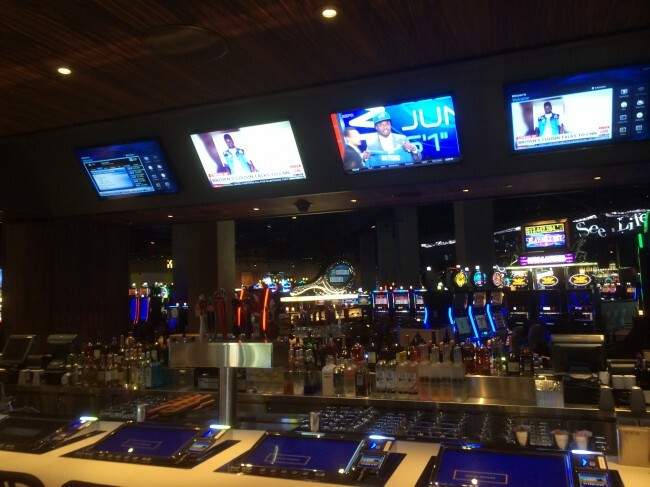 A sportsbook that serves good burgers and good beer? This might be heaven. It is and it isn’t. 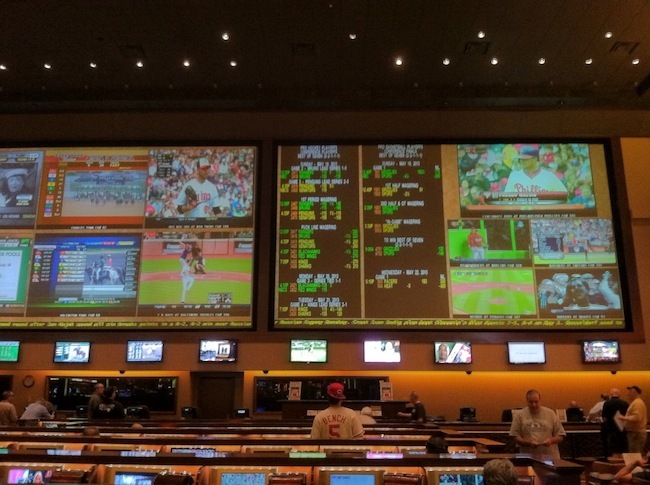 This isn’t a sportsbook. 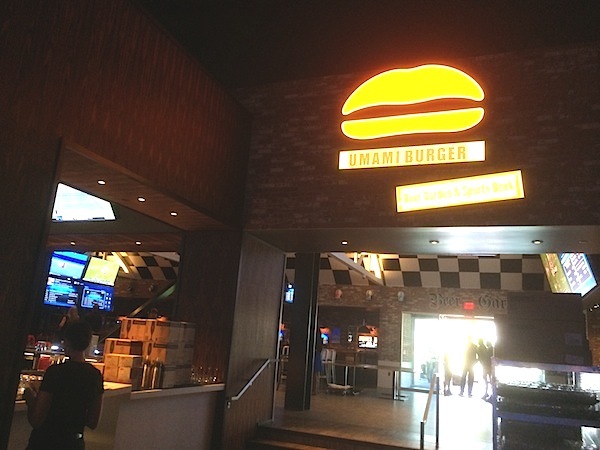 Umami Burger a sports bar/restaurant with a patio and a place to bet on sports. Burger prices are between $12 and $15. Not too bad for the Vegas Strip. Draft beers are around $9-10 and bottles start at $5. There are no drink tickets from William Hill for sports bets as of opening but I think that will change. If you drink/eat at the video poker bar your drinks will be comp’d while you have money in play. I really like this as a restaurant. 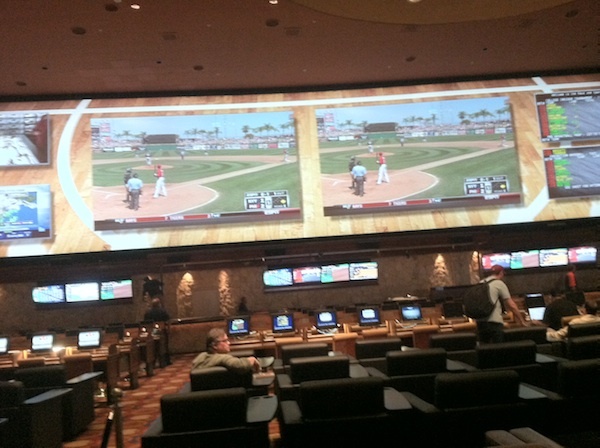 Like I said in Vegas Chatter this is a good sports bar/restaurant but it’s not a traditional sportsbook. It should be packed with sports fans for big events but expect to see kids and families in the mix on other days. 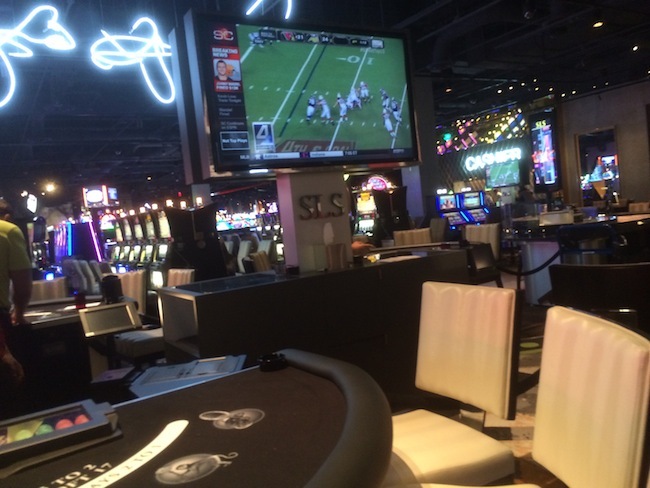 Even thought it’s not a traditional sportsbook this is my favorite spot at SLS Las Vegas. Note, you can still sit and watch games without spending any money. However, if there are paying customers for Umami Burger you’ll politely be asked to leave if you’re not spending money. I was reading news last night and found an interesting bit of information about Las Vegas that I never thought about before. 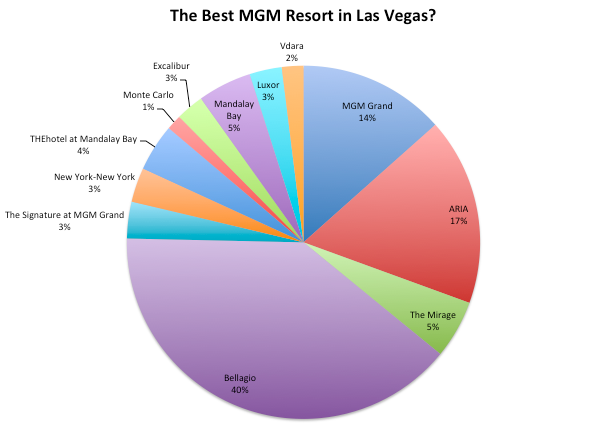 MGM Resorts owns as much property in Las Vegas as Las Vegas Sands (Venetian and Palazzo), Wynn (Wynn and Encore) and Caesars Entertainment (10 hotels + The Linq) combined. I can’t say that I’ve ever thought about how much property any of the casino operators in Las Vegas owns. I find the fact that MGM Resorts covers so much space interesting considering Wynn has a golf course and Caesars has a mall with a big ferris wheel that occupies a lot of space. I think many of us forget that MGM owns a massive amount of land on the north end of the Vegas Strip (City of Rock) that nobody thinks about since it’s still undeveloped. If nothing else it will provide more useless Las Vegas knowledge that I can wow people with. There’s a link between land ownership and stock value and Macau. 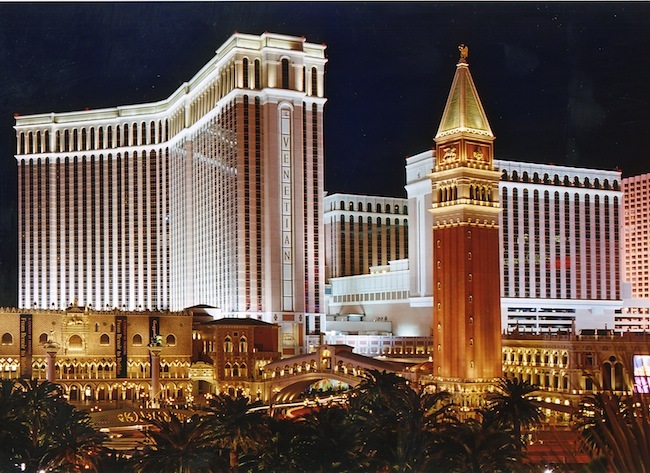 You can read more about how Macau Gaming Crackdown Drives Bettors To Las Vegas. 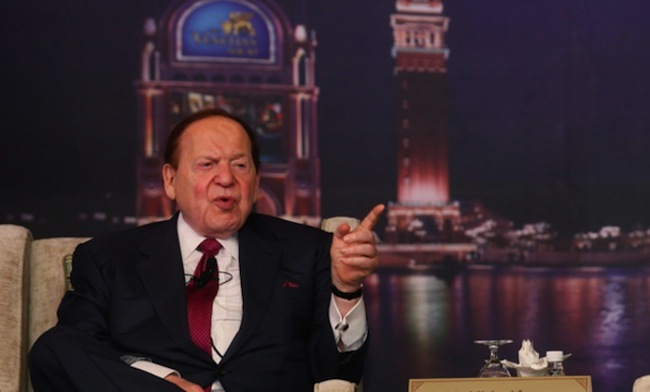 How Long Until Sheldon Adelson Dumps Cantor Gaming From The Venetian? Last year Sheldon Adelson, big boss at Las Vegas Sands, decided that he would fight online gaming instead of welcoming it into his casino business. He’s so against online gaming that he’s now crusading to stop it. Adelson is preparing a public campaign to portray online gambling as a danger to children, the poor and others who could be exploited by easy access to Internet betting. I think it’s a strange use of money to fight against the industry that made Sheldon Adelson billions, but what do I know. Like many other casino operators Las Vegas Sands (The Venetian, The Palazzo, etc.) has been positioning itself as a landlord more than a casino operator. Fighting online gaming simply looks as if it’s another way for Adelson to shake the “stigma” of being seen as just a casino guy. I find it interesting that Las Vegas Sands keeps Cantor Gaming as the sportsbook operator at The Venetian and The Palazzo. 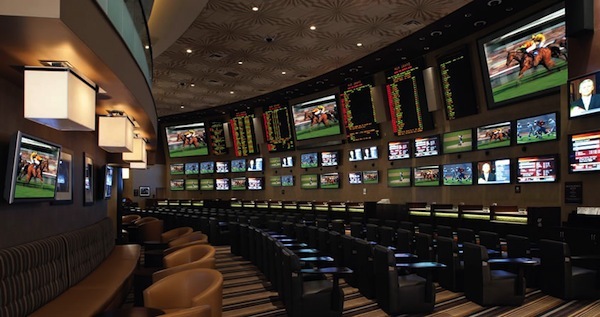 While those are fantastic physical sportsbooks you are encouraged by Cantor Gaming to sign up for a mobile account where you can bet on games anywhere in Nevada. 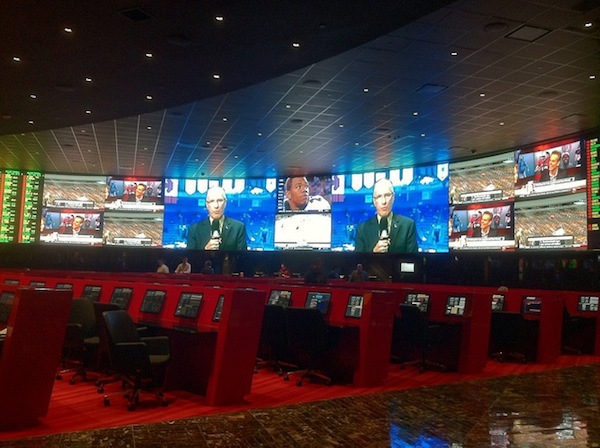 Since its inception Cantor Gaming has been on the forefront of moving sports betting with cutting edge technology. Ultimately they’d like you to be able to bet on games anywhere that its legal. Additionally you can use a Cantor mobile device to play traditional casino games on property. This isn’t a battery operated game. This is online gambling supported by Las Vegas Sands. Cantor Gaming sounds like a company Sheldon Adelson should be fighting, not embracing. Lagasse’s Stadium at the Palazzo and the traditional sportsbook The Venetian are my two favorite sportsbooks in Vegas. I don’t want to see them go away. Back to the beginning of this discussion: Until Adelson removes Cantor Gaming from operating on his properties it’s difficult to take his fight against online gaming seriously.